Want to center the designs using Auto Start? 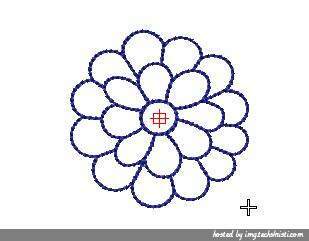 The following image showing Needle in the middle of the image indicate that the designs would get stop over there at the end of the designs. But if you want to take your needle back to the start position in the center then you can use the Auto Start Options as shown below. Please note that this features is available in all digitizing software.The only need is to find the same.It is available in the 'Stitche' options in Wilcom and 'Design' options in true sizer. The Auto Start function look like the following image. 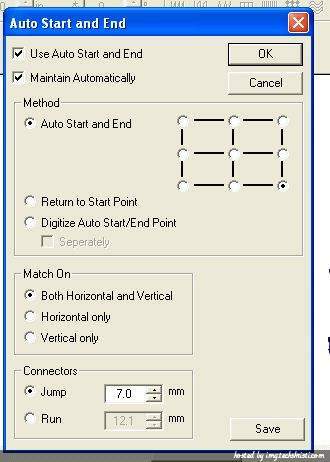 Select the auto start function and indicate the starting and ending process.This will also help you embroider the designs easily. 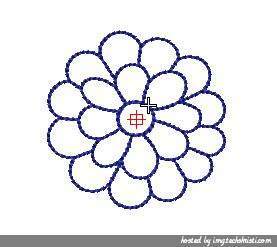 Once you select the auto start function, needle point move toward the center, from where it has started as shown below.